What’s the Best Type of Concealer for You? With the variety of options being presented to you, getting the right shade and type of concealer can be a real struggle. 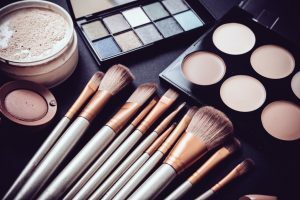 That’s why to help your way through when it comes to finding the right one for you, here’s a quick lesson on the different types of concealer that you have to know. According to kerstinflorian.com, liquid is the most common type of concealer in the market. It works perfectly well on almost all skin types — just save for dry skin. It offers both full and light coverage and can last throughout the day. It can cover up blemishes, from spots and acne scars all the way to dark circles. Another reason it is fairly popular among beauty enthusiasts is it has the most natural-looking coverage. This concealer is recommended for hiding the dark circles around the eyes and discoloration of the skin around the nose and mouth. A stick concealer is the best option for people who have dry or sensitive skin. Its application is pretty straightforward. You just have to trace it on the area you’d like to cover up, and then blend it in until you fully conceal everything. In case you’re wondering, it often comes in lipstick-like packaging, only bigger. As compared with liquid and stick concealers, the cream concealer has a thicker consistency. Beauty experts recommend this to people who have dry and combination skin as it provides complete moisture on the skin. For this luminizing concealer, it is best to use a brush or applicator to blend it in perfectly. One quick tip for this one to enjoy a longer staying power, you must never forget to set it with a loose powder before application. Let your concealer work its wonder on your skin by knowing which type you should go for. Take time to understand the options and the proper way of applying this makeup. This alone could improve and do great things on your regular makeup regimen.